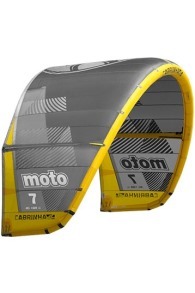 Buy Kitesurf Kites Online - Kitemana! 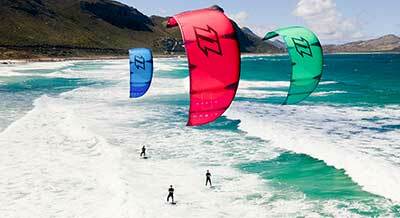 The kites we see the most during kitesurfing are the so-called tubekites. These kites get pumped up with air. These kites get their shape by the air pressure. One big advantage is the fact that they keep floating on the water if you crash them. There are a couple of different types of kites available. 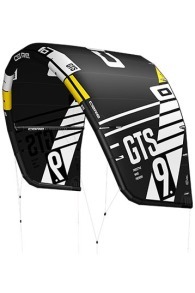 With the Tube Kites, we distinguish Bow / SLE kites, C-kites, Hybrid kites and Delta kites. 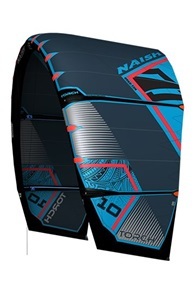 For every kiter/ride style a suitable kite. All the different types of kites have a slight differentiation in their shape. Because of this they all have their own character and ride style. Another important factor for the kite's flying features are the bridles and the bar. A kite with bridles often has more depower than a C-kite without bridles. Check below a clear, concise explanation of the different types of kites. A Bow Kite, also called a Supported Leading Edge Kite, is a kite with bridles on the front of the kite. These bridles have two functions. First of all, it supports the kite in the sky. 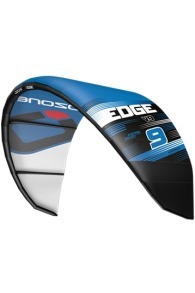 The additional support allows the kite to get a more flat arc, with a higher aspect ratio. The kite gets less in a C, which enables him to catch more wind and often gets more power. He uses the wind better than a C-kite (we will get back on this later). The second advantage of the bridles is that the kite can be tilted out of the wind and thereby get more depower. Beginners are always advised to start a Bow kite / SLE kite. As soon as you release the bar, the kite loses 80% of its strength. So if you accidentally make a steering error, leave the bar and you will be safe for 99%. An additional advantage is that the kite relaunched easily. There are no real disadvantages unless you prefer the aggressiveness of a C-kite to do more freestyle riding and tricks. Now that we know a little bit about SLE and C-kites we can talk about the kites that actually fall in the middle of these two. 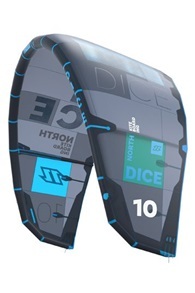 The so-called Hybrid kites. These hybrid crossover kites offer the best of both worlds. 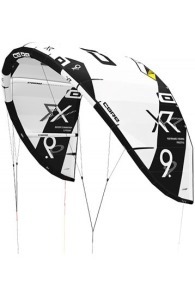 The disadvantage of a C-kite is depowering and relaunching, but the advantage is the good pop, stability and direct feel. The hybrid kite often has bridles (depower) but still the shape of a C. As a result, the Hybrid kite remains direct and fast but has a lot more depower than a true Bow kite. Hybrid kites are often used by kiters who want to learn tricks, but still, want the allround character of an SLE kite if they want to cruise. The Hybrid kites are also easily unhooked and are well suited for making thick kiteloops! 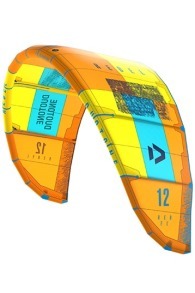 A Delta C-shape kite has a lot in common with the hybrid kite but is a little bit more allround and less freestyle oriented. Delta kites have their tips swept backwards giving them more depower as a C kite. They look a lot like bow kites and are suitable for the allround freerider who likes to do anything with his kite. However, Delta C-shape kites have the shape of a C-kite, which allows them to steer a bit faster than bow kites. They feel very responsive and are also well suited for making high leaps. In addition to tube kites, sometimes surfers use foil kites. Foil kites are mattress kites that you can use on the water. These kites are not able to pump up with air. The kite fills itself with air thanks to the wind blowing in it. As a result, a good foil kite simply stays on the water if you crash it. 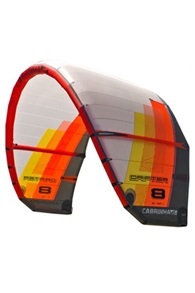 This enables you to relaunch it, almost as easy as with a Tube kite. The advantage of a Foil kite is that they are a lot lighter than Tube kites. So you can kite with the littlest wind. With 6/8 knots you can hit the water using a 21m foil kite. A tube kite needs at least 12 knots to generate power. A disadvantage is that the Foil Kites are less stable, they are more expensive, relaunch is even more difficult and they feel slower. In addition to distinguishing in the type of kite, it can also be distinguished in the riding style. 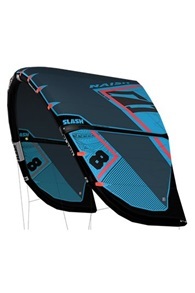 For example, we speak of Freeride, Freestyle, Lightwind, Surf/wave & Race kites. Below we talk more about the different types of kites in the corresponding ride style. A freeride kite has everything you need to be able to cruise but also to add in a jump from time to time. A good freeride kite has a good depower and is always ready to go. 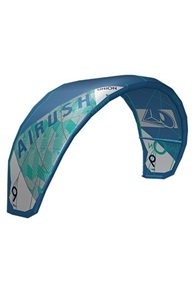 A freeride kite also called an allround kite, has good relaunch features and is suitable for beginner to advanced kiters. 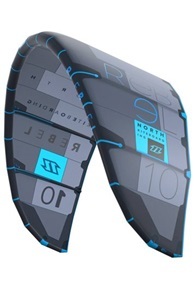 Freeride kites are often Bow / SLE, Delta or hybrid kites who feel at home in all circumstances. Freestyle is a ride style where the kiter pushes himself to go faster and higher. For this job, you will need an aggressive kite that greatly increases your pop to perform high tricks. 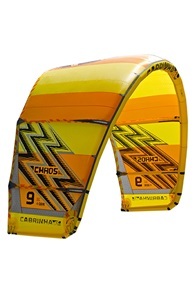 We often see that freestyle kiters make use of C-kites, because of their giant pop and power in the turn. A freestyle kite unhooks good and is amazing for kiteloops. 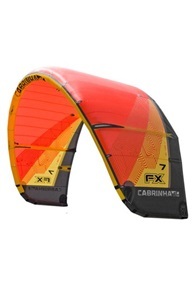 If you think a real C-kite is a bit too much for you, the Hybrid kite is also a very good choice. A lightwind kite is made for kitesurfing with very little wind. These are often big kites with a very flat arc so they catch a lot of wind. 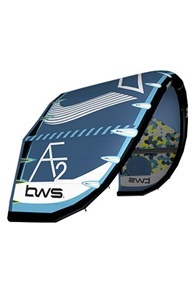 Lightwind kites often have fewer struts to reduce the weight. In addition, they are often 12m or larger so you can ride with only a few knots. Thanks to the Bow shape, they have a lot of depower and enables them to relaunch quite easily. One thing to keep in mind is that fact that the larger the kite, the slower it moves around, so a lightwind kite doesn't go fast from left to right. However, they are very stable, which gives you a relaxed cruise across the water. 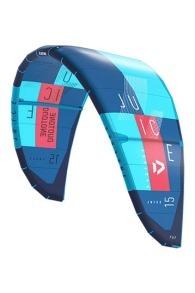 A wave kite is made for wave riding. This is a kitesurfing style which has a focus on ripping all those sick waves! Tons of fun but also challenging in a good way. 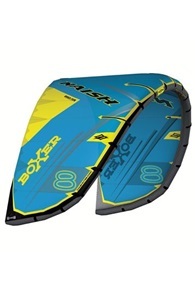 Wave kiters ride on a wave board/surfboard with or without straps. 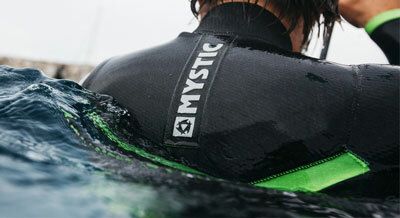 This allows you to surf the coolest waves without having to wait for it. Your kite will just simply pull you into every wave possible :) A wave kite has a fast response so you can steer hard from left to right. In addition, a good wave kite drift along with the wind so that it doesn't fall out of the air when you slide off a nice wave. Are there also several bars? There are plenty of different bars available on the market, to make it easier we have divided them depending on some differences. A bar usually has four lines, a chickenloop, control bar, depower line, floaters, depower system and a safety system. Generally speaking, there are two different types of bars, the 4-line bar (most common) and 5-line bar. The 5-line bar is often seen in C-kites which have a middle line for safety. SLE kites do not usually need that extra 5th line. So make sure when you buy a kite, that your bar always matches with the type of kite. Because there is quite some differentiation in line lengths, V-splits, pigtails etc. How long does a kite last? Can I repair my kite? Hell yes! Do you have a hole in your kite, or did your kite accidentally get a leak while kiting? Don't worry, we can almost always fix your kite. The best way to fix your problem as soon as possible is to visit us in our showroom in Katwijk so we can analyze your damage and provide a suitable solution. 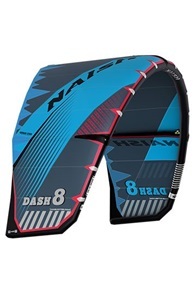 What should I consider when purchasing a kite? Before purchasing a kite it's important to keep in mind a few things. First of all, you have to buy the right size kite. Choose the right kite for your weight. If you know what size you need, it's important that you look for the right kind of kite. For beginners, it's often wise to buy a freeride kite with a lot of depower. A C-kite is often too fierce to start with. 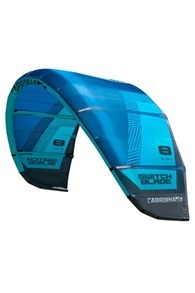 If you are advanced, you can make a decision to go for a hybrid / C-kite for the extreme jumps or some wave kite action. 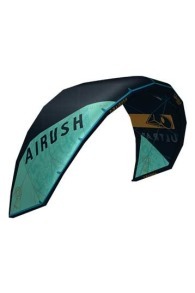 So choose the right type of kite which matches your ride style. In addition, every top brand on the market has its own characteristics.